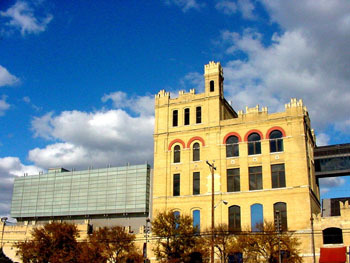 San Antonio is a fun city to visit any time of year, but if you enjoy art, be sure to schedule a visit this fall. Exhibits are in full swing during the coming months making the city an especially good place to visit during the fall and winter holidays. Celebrating everything from the traditions of Día de los Muertos to the most modern interpretations, San Antonio’s arts reflect the city’s colorful cultural heritage. § Blue Star Contemporary Art Center, the first and longest-running venue for contemporary art in San Antonio, opens September 2 with an exhibition featuring works of Chuck Ramirez, Rodolfo Choperena, Carlos Betancourt and Debra Sugerman. § The San Antonio Museum of Art, within the reclaimed historic Lone Star Brewery, features Animal Instinct: The Photographs of Daniel Lee on September 3 – February 19. Lee’s work uses digital technology to portray the idea that people often exhibit behavioral, personality and physical characteristics resembling those of animals. § The River of No Return exhibit by respected photographer Laura McPhee is a series of 6-by-8 foot photographs of the land and people of rural Idaho displayed at the Southwest School of Art on September 1 – November 1. 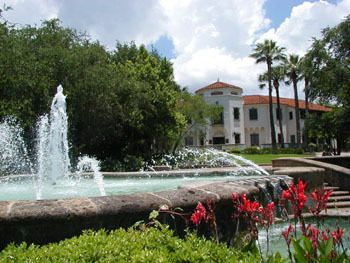 Just in time for the holiday season, the McNay Art Museum, home of medieval and Renaissance art and the only public collection of its kind in South Texas, will house artifacts and sets used in the making of Tim Burton’s stop-action film, The Nightmare Before Christmas. This exhibit runs September 14 – January 1. Additional exhibits at the McNay that visitors might find interesting are The Orient Expressed: Japan’s Influence on Western Art, 1854 – 1918, Cassatt and the Orient: Japan’s Influence on Printmaking and Art + Present: Gifts from the Peter Nortan Family, all open from October 5 – January 15.